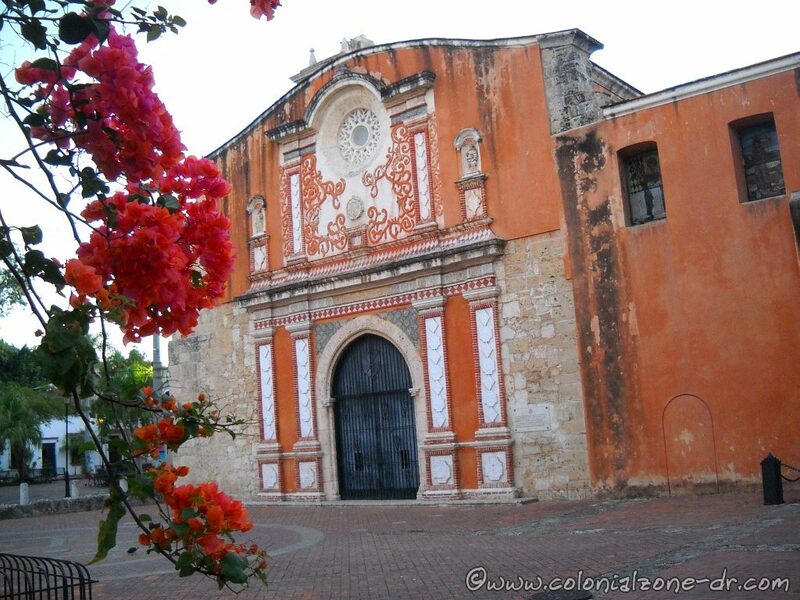 Also known as – Convento e Iglesia de los Padres Dominicos/ Monastery (Convent) and Church of the Dominican Fathers (Order), Imperial Convento de Santo Domingo and Convento de la Orden de los Predicadores o frailes Dominicos/ Convent of the Order of Preachers or Dominicos Friars. 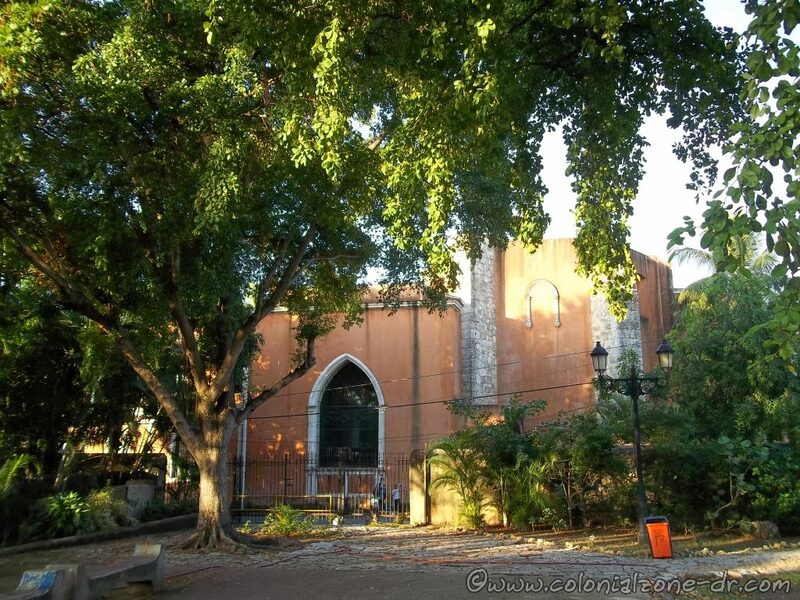 The history of one of the original convents and churches of the Colonial Era. The church is part of The United Nations Organization for Education, Science and Culture (UNESCO) and what makes the Colonial Zone such a special place. With the arrival of Columbus to the island of Hispaniola in 1492 the process of colonization started. In Autumn 1508 the abbot general of the Order of the Dominicos sent word to the King of Spain that they needed to send representatives to Hispaniola. Finally, in 1510 it was agreed to send fifteen friars to Santo Domingo. When the delegated representatives started arriving they stayed in a meager wooden home. The person living there got booted so the friars had a place to stay. The building of the chapel progressed very slowly as there was no cash allotted or sent for its construction. In the mean time, the friars held meetings and gave their sermons in different parts of the city while waiting for the construction to be completed. It took a long time to get the chapel build because Spain really did not care to send money for the construction work. Frey Bartolomé de Las Casas, who was in charge of the church in the mid 1500’s, eventually sent fray Antonio de Montesino to petition the King for some aide. Finally in 1522, nine years later, Spain came up with the cash and Montecinos hired a builder. There is no real information if this builder ever came to the island or not. Also there is not much on record of the construction of the building. 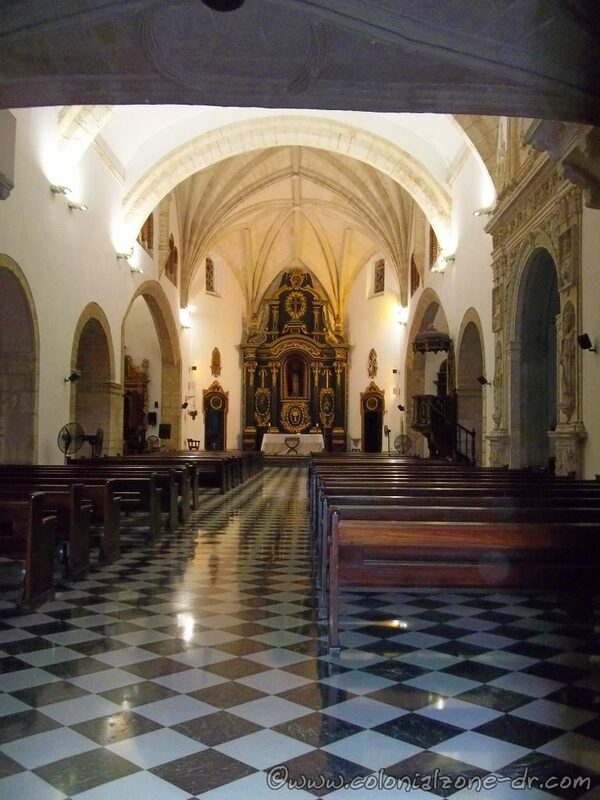 In 1531-1532 they had the official inauguration of the chapel. Some of the important persons in attendance were Pedro de Córdoba, Reginaldo de Montesinos, Bartolomé de las Casas y Antonio de Montesinos. 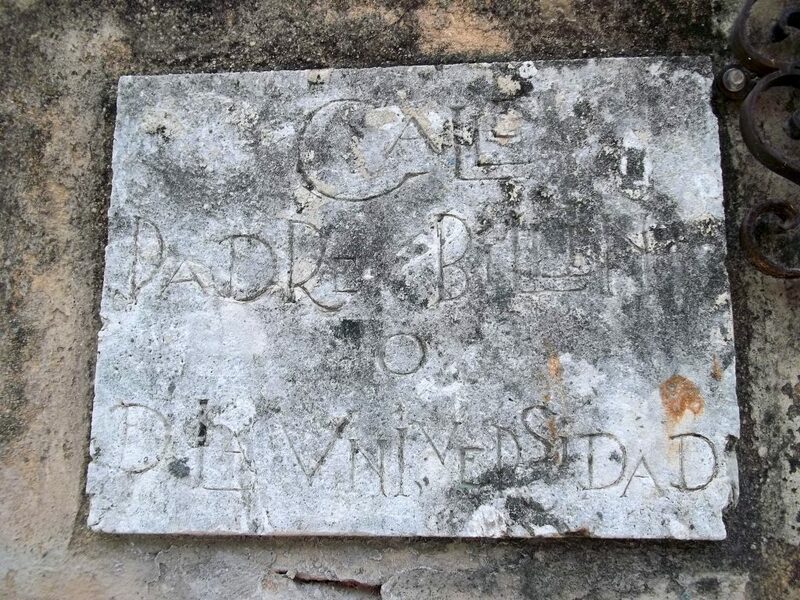 In 1534 the convent began holding classes, and in 1538 became the first university in America by the order of Bula In Apostolatus Culmine, with the blessings of Papa Paulo III / Pope Paul the Third. The original name was Universidad de Santo Tomás de Aquino and later it was changed to the Universidad Primada de América / First University of America. The building was constructed with a mix of architectural styles including Elizabethan Gothic, Baroque and Gothic. The exterior has many different statues and images that are the works of brothers Jorge y Ajejo Fernández from Seville. 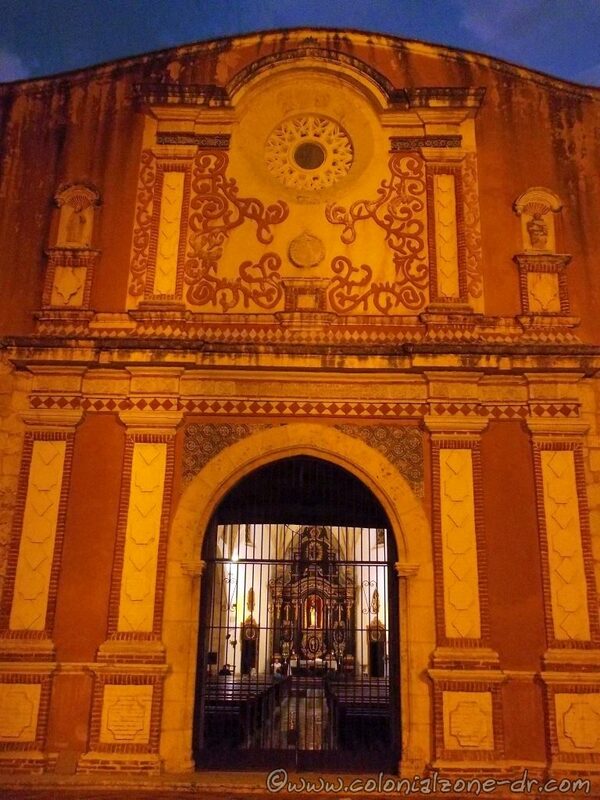 In the Sixteenth century (Siglo XVI) the entrance to the building boasts five altarpieces; one is painted by Juan Martínez Montañés, a very famous painter of the colonial era. In 1588 the building was in bad repair. It was too small for all who lived within its walls. Finally, they got money to repair and rebuild. The reconstruction left a few of the original walls incorporated into the building. many times throughout the years but has always been rebuilt. 1545 – A windstorm knocked down the belfry. 1586 – Sir Francis Drake severely damaged the building when he invaded Hispaniola. In 1681 the building was said to be in very bad shape. The wooden roof needed to be replaced and the entire structure had to be re-worked. Finally, in 1746 the roof was reconstructed to be a barrel vault type roof. Capilla del Sagrado, Capilla del Rosario, Capilla de Solano, Capilla de la Altagracia and Capilla del Pilar. The Fiesta del Rosario is a very solemn event held in the city. This chapel is part of the Church of the Dominican Order. 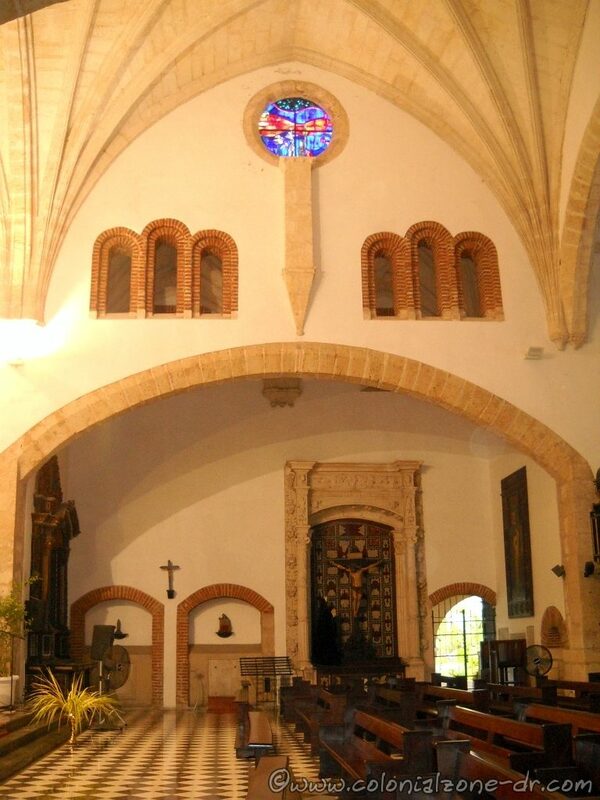 The interior has almost a sun looking vaulted roof above the altar. The way the high windows let in the light adds to the look. As in the XVII Century style, the art above the dome shows God-like bearded men amidst planets and clouds. The entrance has Gothic Baroque styles and show chaos. There are statues of Saint Peter and Paul, busts of Saint Thomas and Peter the Martyr. There are representations of other saints as well as signs representing faith and hope. The top has a representation of the Virgin handing Santo Domingo the rosary. At the bottom of this archway are monsters representing the chaotic forces of the world. 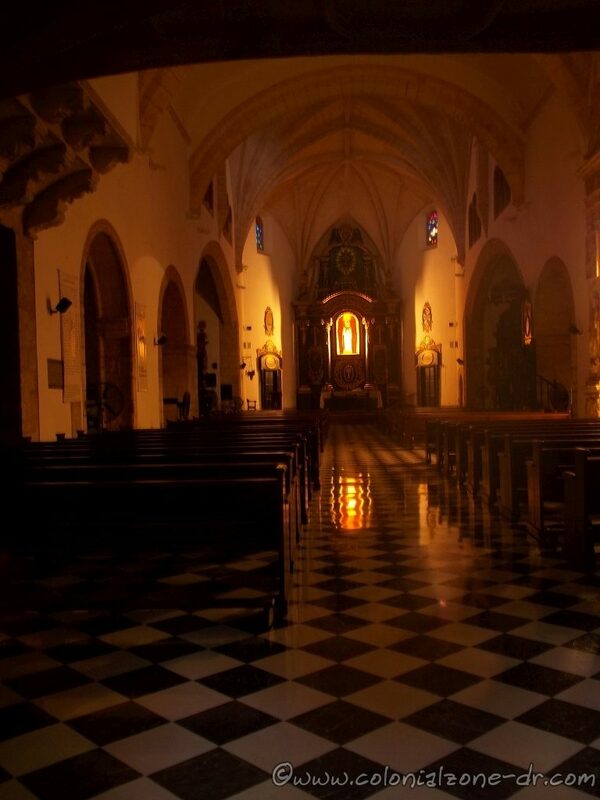 Interior of the Iglesia de Los Dominicos at night. 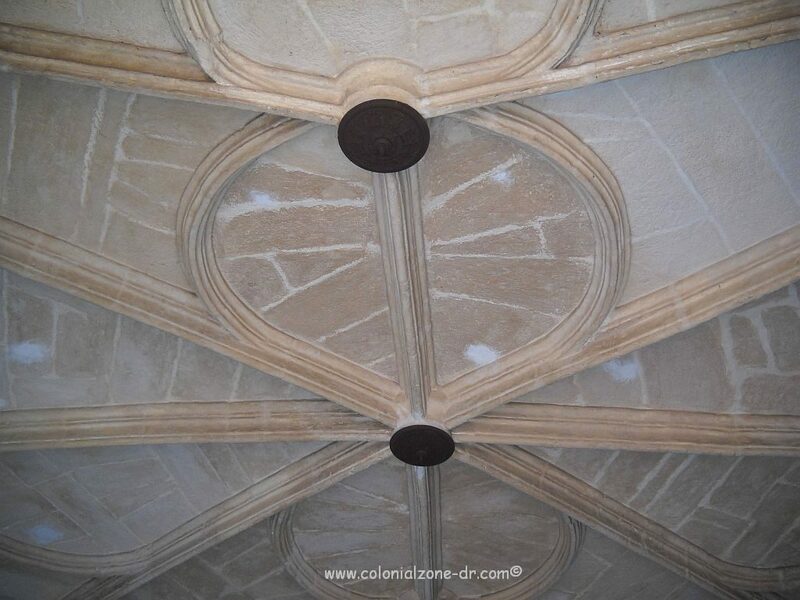 When the building was restored in 1746 and the vaulted ceiling was added many there were many other additions as well. A sun was added in the center supported at 4 points, the cardinal points of the universe. These 4 points are masculine representations of the planets (Jupiter, Mars, Saturn and Mercury the feminine planets, Venus and Luna, are excluded and not represented), 4 temptations and the 4 horsemen of the apocalypse. Open for visitors: 8:30AM to 12:30PM and 3PM to 6PM. Please do not enter or take pictures when there is a service or event. Walking on Calle el Conde turn south on Calles Hostos or Duarte. Go 2 blocks. 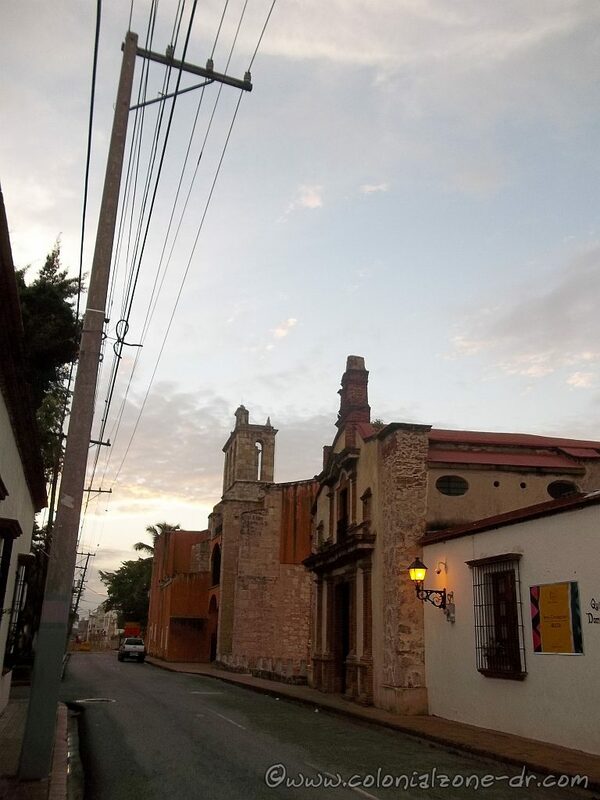 The burnt orange colored building is across from Parque Duarte on Calle Padre Billini. 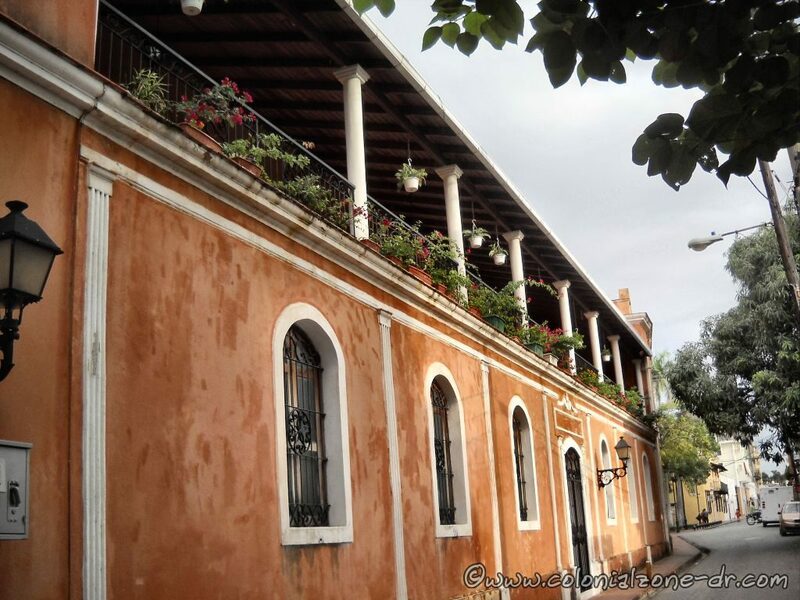 The front of the church faces a plaza and the small street Calle Macoris, Ciudad Colonial.